Today we're joining in a rather special blog tour celebration for two reasons. 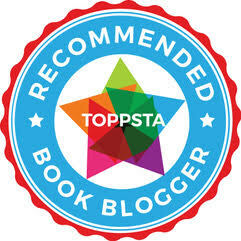 Firstly, this will be our last ever Blog Tour guest post so we wanted to go out on a high. Secondly though, this is a chance to celebrate a writer's journey for someone who we've known and admired for many years - a great chance for her to blow her own trumpet about her journey from enthusiastic writer, to self-published author - and then through to her first publishing deal for her official debut, "Danny and the Dream Dog" (illustrated by Howard Gray and published by Tiny Tree Books). So without further ado, over to Fiona Barker with a three-act play describing the highs and lows of getting represented and published. I’m a hammy exponent of amateur theatre so a huge thank you to Read It Daddy for letting me explore my publishing journey as a three-act play. Act 1. Young Fiona. Lover of a poetic turn of phrase and word collector. A child who loves writing and whose proudest moment is when Mrs Collins, her English teacher, notes ‘I wish I could write like this’ on her homework when she is eleven. Fiona carries on writing for her own personal consumption, specialising in poems full of teenage angst. She never properly fulfils or explores the early promise that Mrs Collins could see. Off she goes instead to have a career as a clinical scientist, helping people who are dizzy. She loves it but maybe somewhere within there is a bit of her striving to make Mrs Collins happy again and that’s what this is all about. Act 2. Fiona gets married and has a baby. She, her husband and baby discover a whole new world of picture books. Some are amazing, inspiring, beautiful. Some are awful. Fiona thinks, like so many people before her, ‘I could do better than that’. In the time-honoured tradition of these things, Fiona makes up a story, asks a friend to do some illustrations and sends it round to a few agents and publishers. Unsurprisingly, they say no. Fiona shelves the idea and scratches her writing itch with a PhD instead. Four years and 85,000 words later, Fiona is once again at a bit of a loose end. She digs out her story and a neighbour suggests sending it to their relative who works in children’s books. The relative says ‘This is pretty awful. Get an editor!’ (only much more politely and tactfully than that). This time Fiona does some proper research and with the help of a book designer and editor, knocks the text into some sort of recognisable shape and commissions a professional illustrator, Rosie Brooks. The book, Amelie and the Great Outdoors, is self-published in April 2016 just after her baby’s eleventh birthday. Self-publishing is expensive, especially for a picture book and the self-promotion is physically and psychologically punishing but Fiona learns a lot and experiences the joy of holding your story in book form. ...to bring grown-ups who love picture books together and gets tragically addicted to Twitter. ...they like the fact that Fiona has experience of promoting her own work through Amelie, they like the story. They candidly admit that it was in that order. Fiona feels it is fabulous to have someone on her side, excited about her story. That one ‘yes’ really does make the twelve years of ‘no’s feel like part of something. Contracts are signed, Danny and the Dream Dog becomes a reality, rapturous applause, happy ending, curtain. So that’s it. Only hopefully it isn’t the end. There’s a lot of promotional work to be done for Danny with library visits, bookshop events and school visits. Six months after signing the contract with Tiny Tree, I signed another contract, this time with my dream agent, Alice Williams. She has moved my writing on so much and is getting my work seen by editors I could only have dreamed of previously. Fingers crossed for a sequel! A huge thanks to Fiona for such an interesting guest post full of a lot of very useful info on the ins and outs of publishing! 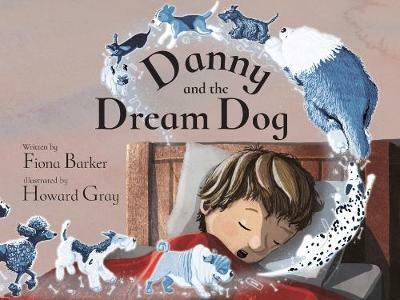 "Danny and the Dream Dog" by Fiona Barker and Howard Gray is out now, published by Tiny Tree Books. Look out for our full review soon!